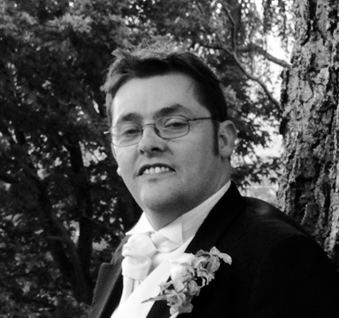 I was born at the Cottage Hospital on the Hereford road, Abergavenny on May 20th 1970. In the late eighties and into the 90s I moved about. Hereford, Swansea and Bradford. I have been settled back in Abergavenny for the last 13 years where I live with my wife and daughter. As a person, I never take life too seriously, unless I need to. I started to write in the early 90s. I wrote a few magazine articles and in 1994 I penned my first book, ‘Behind Closed doors’ It never saw the light of day, the publishing industry was totally different back then. I supposed the commercial publishing industry still hasn’t changed. It’s still almost impossible to secure a main stream publisher. My spare time is spent with my family, I am a camper at heart, there’s nothing like the rugged outdoors to inspire the imagination. I am a huge science fiction geek. I love anything with Aliens in it. Why did you decide to write in your chosen genre? I have always been fascinated by the UFO phenomenon, so it was a natural choice for me. In the early 90s, I ran a group called the UFI investigation Bureau. I published a newsletter and travelled all over attending the different conferences that were very popular thanks to Shows like The X Files and films like Independence Day and Men In Black. In 1995 I travelled to the USA where I visited the notorious Area 51. Unfortunately, I have never seen a UFO so I cannot speak from experience, However there are plenty of people who have. Wales is a hotbed for UFO sightings. We even have our own UFO crash story that happened in the early 70s. 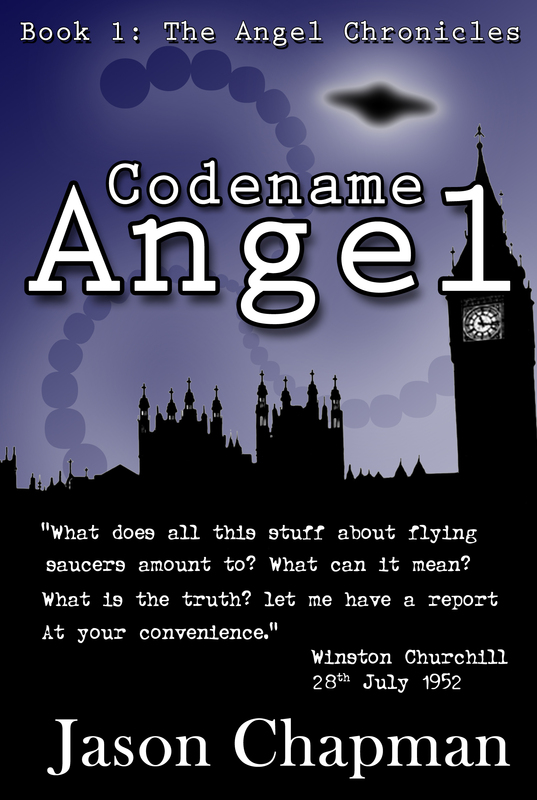 Codename Angel is set in the 1950s and is the first in a book series I am writing which spans the second half of the twentieth century and beyond. The story follows a Cambridge Professor who is put on a panel of government officials and scientists whose job it is to investigate UFO sightings which have been happening up and down the country. I first penned the novel back in 1997 under a different title, ‘The Angel Committee’ I have only recently changed the title to Codename Angel. After dozens of rejection letters I decided to give up on the book. In 2004, I read Dan Brown’s the Davinci Code. I loved the book and the controversy it was causing, especially in the church, suggesting that Jesus had a bloodline. At the time I thought it would be good if I could write a similar book but with aliens. I set about reviving the manuscript I had locked away. After several more years and several rewrites I decided to quit the novel altogether. It seemed that nothing was working so I once again put it aside. Then in early 2012 I came across a newspaper article about a memo that Sir Winston Churchill wrote in 1952 expressing an interest in flying saucers. I did a little research and downloaded the memo from the national archives. That is when I discovered that a top-secret group of men operated under the title The Flying Saucer working Party during the 1950s. Their job was to investigate flying saucer sightings in the UK and other parts of the Commonwealth. I immediately started rewriting the book setting it in the 1950s. In December 2012 I published the first draft on Amazon kindle and produced a paperback copy. But I wasn’t finished there. What started as a one off novel had become a full-blown book series. 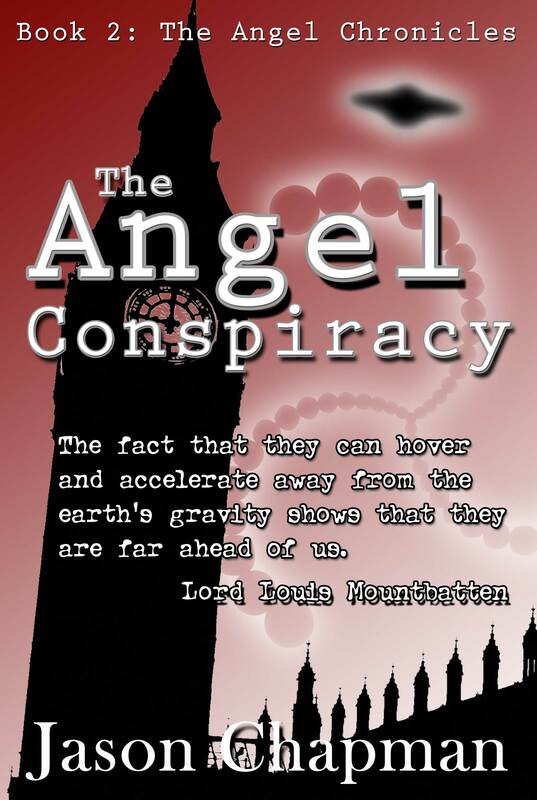 I immediately set to work on the sequel The Angel Conspiracy, which I published in 2014. I have many favourite characters in Codename Angel. The first is the lead character Professor Ralph Frederick. He starts as a stiff upper lipped Cambridge Professor who is a non believer in anything paranormal. UFOs are stuff and nonsense, until he has his first close encounter at an RAF base in the North of England. Dan Brown’s Robert Langdon is an inspiration for Frederick. I guess Frederick does have a little bit of me in him. I love science, especially science that pushes the boundaries. However, I also recognise that in regards to certain sciences we are trying to run before we can walk. My second favourite character is Janus, an alien who has been stranded on our planet for hundreds of years influencing men of power. Believe it or not, Janus is actually based on someone who allegedly exited back in the 1950s. While researching Codename Angel I came across an autobiography by Sir Peter Horsley who was former head of the Royal Airforce. Back in the 1950s Horsley used to investigate UFO sightings on behalf of Prince Philip who had an interest in the UFO phenomenon. Horsley Claims that in November 1954 he met a mysterious stranger called Mr Janus. Horsley claims that this Mr Janus had the ability to read his mind. Many UFO researchers believe that Mr Janus is in fact an alien entity who has disguised himself as human to study us. As for what I believe, well let’s just say Horsley’s claims make for interesting reading, nothing more. I thought that Mr Janus would make an amazing bad guy, due to the fact that he was supposed to have existed. I would love Codename Angel to be adapted as a TV series. I don’t think a film would do it justice. You cannot tell a story like this in just two hours. George R Martin’s Game of Thrones is a perfect example of how a popular book series can be adapted into a blockbuster TV series. My first choice of actors to play Frederick would be Benedict Cumberbatch. He is perfect to play a Cambridge Professor. However, welsh actor Ioan Gruffudd, would also make an excellent choice. I’m currently reading Roald Dahl books to my daughter. Many people see him simply as a children’s author. Is he though? Is Matilda a child’s version of Carrie? A young girl with telekinetic abilities. In addition, what about the BFG? A character that visits you in the dead of night and gives you dreams and nightmares. A little too close to Nightmare on Elm street for comfort. Who can forget Charlie and the Chocolate Factory a delightful story about a sadistic factory owner who enjoys seeing naughty children get their comeuppance. I think Dahl is very clever in the way he presents his books as children’s literature while having a dark centre. Its myth and legend, and its great camping spots. I am currently working on the third instalment to The Angel Chronicles, which will be available later in the year. I am also turning a short story series I have written into a paperback and kindle novel. Tales from Majestic is a spin off from Codename Angel and is set in America. 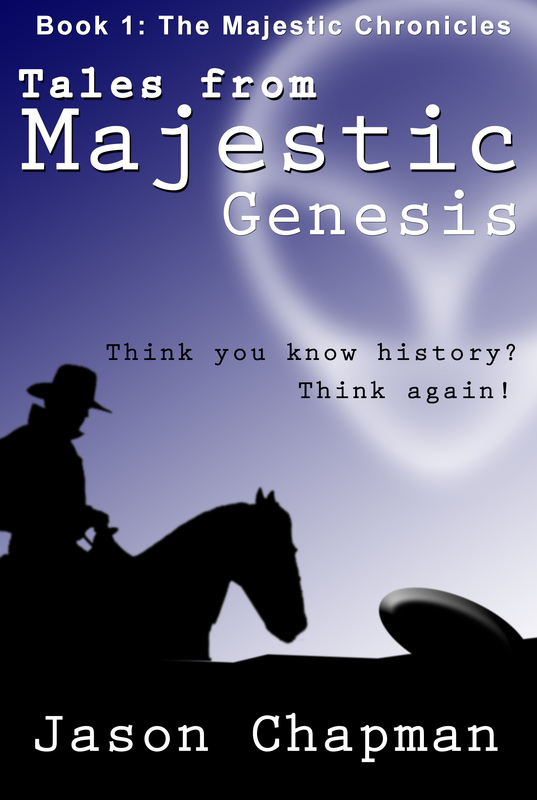 It follows a top secret government team known as Majestic 12 who have to deal with aliens and Russian spies. I am also outlining a new time travelling book series based on one of the characters from Codename Angel and The Angel Conspiracy. All in all I’m very busy at the moment. The best aspects are definitely the creation process. When you are immersed in the world you have created. You get to step into the shoes of your character and follow them on their journey. You get to see things you never thought possible. Often, the more I write the more likely new ideas push their way through enabling me to create more thrilling storylines. I suppose the worst aspect is time management. Like so many indie authors, I have a full time day job. This means I get up at 4am so that I can write for two hours before working a ten hour shift. It is hard but it’s rewarding. In a perfect world, I would be writing full time, which means I could write ten times the volume. If you spend more time marketing than writing, then you are doing it wrong. There is a writer’s myth that states writers have to spend a good deal of time marketing their book(s) This is not true. There are plenty of book promotion sites out there who will do the marketing for you. Sites like Bookbub can have huge returns. However, it isn’t easy to get on. They have thousands of submissions because they are the biggest book promotion sites. I have yet to be successful with Bookbub however; there are other sites to choose from, including Booksends, Freebooksy, Bargainbooksy, e-reader news today, The Fussy Librarian and many more. However, you must choose wisely. It is a bit hit and miss. You have to evaluate your success on each site before resubmitting you book. If you come up with a strategy that works then your book will sell itself. I recommend running promotions every now and then just to keep the reading public sweet and keep the sales rolling. I have just secured an editor in the United States, its early days yet but I think this maybe my chance to gain a serious readership. Quality control is simply about reading your work over and over. Use MS Word’s search program to look for words you are likely to get wrong. Hear and here, you and your, we’re and were. If you can identify your weaknesses then it will cut the time an editor needs on your manuscript. Overall I have found the current self publishing process very easy to grasp. It’s also been a learning curve. If you want to get on then you have to be a quick study. Always have a backup plan. Self publishing has not always been a joy. Back in 1997 before the likes of Amazon came along, I was like every other aspiring writer writing to main stream publishers and getting a steady stream of rejection letters. In the end, I decided to take a leap of faith and take a chance with a vanity publisher. It turned out to be more of a leap into hell. I handed over £1500 and to cut a very long story short, that was the last I saw of that. I tried to get my money back but the man who conned me used every loophole in the law to hang on to my hard earned cash. He even had the audacity to threaten to counter sue me because I had said some very nasty things to him. I confess I did call him some very colourful words. But I was angry, he took my dream and turned it into a nightmare, laughed at me and all the way to the bank in the process. I will never hire anyone to do anything again. I love the idea of being in control and being able to change things at a moment’s notice. Avoid Vanity publishers. Self publishing can seem daunting but it’s not rocket science. Anyone can do it. If in doubt, seek help from other indie authors. I will be happy to answer any questions you have. You will have a lot of people who will tell you to stop dreaming and get a real job. Writing is a real job. Its all about selling enough books to get by. Never lose faith in yourself. Stay away from social networking. I’m only saying this because of personal experience. Facebook and Twitter are great for sharing cat videos, but little else. There are thousands of book promotion pages, but you will achieve nothing by uploading a link to your book. Get on those book promotion sites and someone will notice you. By software such as kindle spy which will help you keep an eye on your competitors. Learn how Amazon works, there are some excellent books out there which will teach you about the self publishing process. Be realistic. We would all love to be the next JK Rowling or Dan Brown. There are examples of self published authors making huge profits. One such author is Andy Weir, who reached the stratosphere with his self published book The Martian. It’s a sad fact that many self published authors fall by the wayside because they get disillusioned very quickly due to dismal book sales. At the of the day you have to ask yourself what you want from your writing. Do you want to be a multi millionaire? Or do you want to be someone who earns a couple of thousand pounds a month. It is far easier to succeed at the latter, than the former. Write about something you know about. I know nothing about knitting, which is why I have not written a book on it. Your chosen subject should be something you know about. It could be world war two, or you could have read dozens of vampire novels and decided to write one yourself. Knowing your chosen subject well will give you an edge over those who are writing a similar novel but get stuck at the end of every sentence. If like me you are writing partial history make sure you do your research. There’s nothing more embarrassing than a reviewer pointing out discrepancies, if you set your story in the real world. Enjoy yourself, let yourself sink into the world you’ve created. Dan Brown’s Inferno, hardcover. I’ve read it before, but I love the story. I have learnt that there are three types of reviewers. Those who download your book and take it at face value, they’ll either love it or hate it. There are troll reviewers who just write nasty things just for fun. And then there are the nit-pickers, who will scrutinise every sentence, question mark and comma. I have just received a couple of two star reviews. At first I didn’t want to read them. I eventually plucked up the courage to look at them and was pleasantly surprised. They weren’t bad reviews. They were simply people pointing out that I needed an editor. One reader actually listed a number of errors that I was able to correct. Use every review you get as a learning curve. If you get someone who is particularly nasty, then you can report them. Hey, even JK Rowling has had her fair share of bad reviews. Intriguing interview, as only you can facilitate, Christoph. Nice to meet Jason. Huge hugs. Thanks for all the great comments guys.